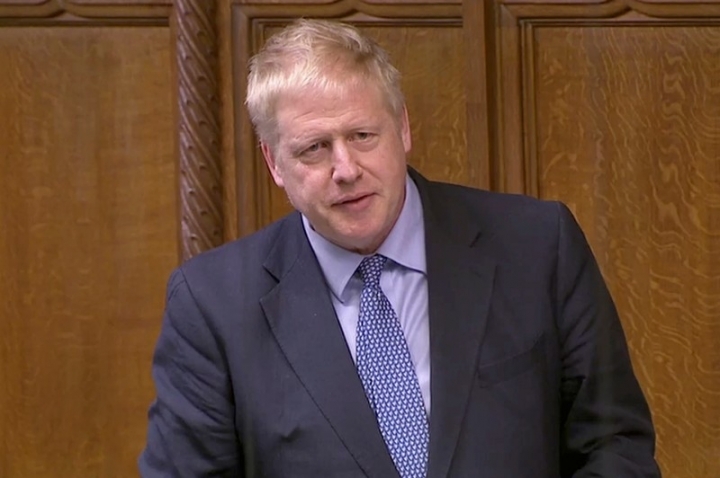 LONDON (Reuters) - Former British Foreign Minister Boris Johnson said on Sunday it was not too late for the government to get "real change" to Prime Minister Theresa May's Brexit deal and cautioned against holding another parliamentary vote on the agreement this week. Johnson, who was a figurehead of a campaign for Britain to leave the European Union in a 2016 referendum and might influence other lawmakers on which way to vote over May's deal, asked in his column in the Telegraph newspaper whether there was a way forward to break the impasse of Brexit in parliament. "Perhaps," he answered. "There is an EU summit this week. It is not too late to get real change to the backstop. It would be absurd to hold the vote before that has even been attempted." He also said May should outline her strategy for talks on the future relationship with the EU to "reassure ... understandably doubtful MPs (members of parliament) by answering some basic questions". May is expected to hold the third vote on her Brexit deal this week after suffering heavy defeats, and she is hoping to win over lawmakers, many of whom like Johnson fear the so-called Northern Irish backstop could trap Britain in the EU's sphere.